You know the tabs, the toilet tabs. Some are made of bleach and others, with blue dyed cleaning products. Visually they appear to be cleaning without your effort, but they are quite dangerous and threaten the integrity of your toilet’s inner workings. Not only are they dangerous to your home’s plumbing, but they aren’t effective at cleaning either. Your plumber would be happy to know you’ve quit using these nuisance products. If these products could be more controlled, they might be helpful, but they are too concentrated with corrosive chemicals and stay in what place, corroding your flapper, tubing, and any other rubber pieces involved in the mechanics of a toilet. Because of this causing misshapen toilet flappers, these tablet products contribute to water loss as well. The blue dyed chemical cleaning toilet tablets are only responsible for disguising iron deposits and ugly marks inside your toilet, not actually sanitizing. The product also gunks up the toilet’s jets underneath the rim and will prevent the toilet from flushing toilet properly over time. A safe alternative that automates your bathroom cleaning is to use distilled white vinegar. Pour 1 cup inside the back toilet tank, half designated to the overflow, the small rubber pipe that stands up in the middle of the tank. This piece is responsible for sending water through the aforementioned under-rim jets. The natural acids inside distilled white vinegar will gently dissolve the same lime, iron, and other deposits and ugly marks that you were only disguising with the harmful competitors. Using distilled white vinegar not only cleanses your toilet bowl with little effort of yours, it gently cleanses the mechanics of the toilet, making it run optimally. The best practice is to use distilled white vinegar in the toilet tank once monthly. White distilled vinegar has hundreds of applications in the home because of its miraculous natural cleaning ability. A common way to further automate your bathroom cleaning is to spray down your faucet and shower fixtures with the vinegar mixture and then rubber band a sandwich bag of vinegar to it. Leave it for hours and it will clean and polish your metal fixtures. When mixed with baking soda, it fizzes and provides a little bit more abrasion for tough to clean debris. It also cleans wine stains with ease within the stain’s first 24 hours. Any material responds well; including cotton and cotton polyester. Although from state to state the requirements for becoming a plumber can vary, there are usually two ways to obtain your plumbing license. One way is to go to college for 2-3 years to obtain the knowledge and experience necessary to work in the field and the other is to do a much longer apprenticeship beneath a “master plumber”. Both ways are respected in the trade and matter only to the aspiring plumber, to choose the option that best fits his lifestyle and resources. To best prepare for the field, an aspiring plumber should first get their high school diploma or GED. If they know they want to be a plumber they will need a solid background in science, math, and computers. If they are able, in high school or college, taking courses in drafting and blue print reading is very helpful in the trade. Trade school, vocational school, or technical schools all offer plumbing programs that will give you the foundation in more advanced plumbing studies such as water supply and drainage systems and piping equipment. Schooling can take 2-3 years. After you’ve received your diplomas you will want hands-on experience with an employer willing to mentor you your first few years of work. Doing an extensive apprenticeship program that may last as long as 5 years under an experienced plumber in place of going to school for a formal education is another option available to aspiring plumbers. The steps following are the same, 2-3 years experience after your apprenticeship has ended will qualify you for what they call your journeyman’s license. Journeyman plumbers can go onto become master plumbers after they’ve received 1-5 years more experience in the field (depending on the state) by taking another exam. After you’ve completed one of the two routes listed above to gather all the knowledge and experience necessary for licensing, you will probably take an exam. The exam will include a lot of the information you learned in school, on the job, and will likely include local codes as well. As previously mentioned, journeyman can continue onto becoming master plumbers by continuing to work in the field and then taking the master plumber’s exam. Plumbers average 20.00 per hour and have been staying around 5% unemployment rate which is good. The trade is expected to remain the same into the future. Newcomers will likely have job openings when they are ready to fill them, as plumbers retire. Most plumbers find their work in construction, but there are a number of job applications for plumbing. Any signs of leaks such as water spots on ceilings or walls or under your sinks should be taken care of immediately. Catching a leak early may result in just needing to dry out the wet surfaces. 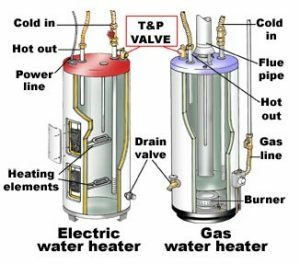 You probably don’t look at your water heater often so if you do see water around it take action now. It could be a crack in the internal tank. A small puddle can turn into gallons of water damaging walls and floors. Water heaters have limited life spans. Frequent inspections and maintenance is good practice. This could indicate a leak in your underground pipes. It could be from a constantly running toilet that you never use or a leak in a part of your house that you don’t frequent. You’ll need a plumber if you have cracks in your sewer lines. Some sewer gas problems are easy to solve such as keeping the water level up in your drain traps by pouring a cup of water down the drain. Look out for mold and mildew on any surfaces. Check in closets and back of cabinets. A leak can go undetected for a long time and grow mold in a widespread area. A wet lawn when the weather has been dry could indicate an exterior water main leak. Thawing your pipes as soon as possible can prevent a burst pipe resulting in flooding. Your plumber can thaw your pipes and help you to prevent it from happening again. A good thing to do right now is to make sure everyone in your household knows how to turn the water off to the whole house in case of an emergency. If you have an instance that you need to call a plumber, it might be a good time to get a complete plumbing inspection to prevent other instances. Water is one of our most needed natural resources and one of the most at danger around the world. Fortunately we can control our water usage utilizing the growing popularity of green plumbing and responsible practices. Green plumbing is the use of energy saving appliances, low flowing fixtures and responsible practices for using the least amount of water to get the job done. 40 of our 50 great states are concerned they will have a water shortage in the next 10 years, so it’s important to adjust our lifestyles and turn to greener products moving forward as soon as possible. There are so many ways to make our lives impact the earth less in a negative way, whether you can afford the best technology or just make better habits and teach your children the valuable lesson of caring for our home, Earth. With a plumber who offers green plumbing services, you can walk-through your home and discuss the potential devices and replacements that can be made to reduce your water use according to you and your family’s needs. Scheduling an inspection of your home will allow your plumber to find any needed repairs or low efficiency fixtures and hopefully restore the 14% of water loss due only to leaks! Water is used in toilets (26%), showers (17%), baths (2%), faucets (16%), washing machines (22%), and dishwashers (1%), so all of these points of entry are potential ways to make your water usage more efficient. Already planning a bathroom or kitchen remodel? Plan on updating your home’s efficiency and conservation as well as its aesthetics one room at a time! Replacing old fixtures with new, efficient fixtures will reduce the carbon footprint for the next generations and save you money, by using less but also by possibly qualifying you for a government tax break or rebate. How Much Water Is Saved? Since the largest amount of water is literally flushed down the toilet, let’s look at the alternative: a low-flush toilet. A low-flush toilet can save you half the water used per flush, up to 1300 gallons of water per MONTH! That’s 15,600 gallons per year! Each 12,000 gallons of water saved per year (1,000 gallons per month) equals about $140.00 per year in your water bill. This can be achieved by replacing just one of your inefficient fixtures, so replacing more than one can double or triple your savings. Toilets made after 2002 were all manufactured with this conservation feature, something a layperson probably wouldn’t know, so it’s important to get your trusted plumber to your house to tell you what you’ve got and what you should get! 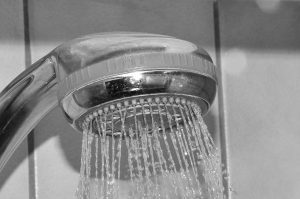 Low-flow faucets and shower heads are also available replacements, as well as energy-star efficient dishwashers and clothing washers. What Changes Can I Implement Without Replacing Everything? A great start is to prevent that 14% of water from being lost due to leaks by having a plumber inspect and repair any leaks on your property. It’s then that he or she can educate you on the changes you can make to your home in the future to be greener and save money. Otherwise there are too many helpful habits you can begin to tell you them all in this article. Some of the best habits are taking short showers instead of baths, letting your lawn grow longer to retain its water more, wash only full loads of dishes and laundry (and in cold water if possible), and do not let water run longer than 5 minutes. You can achieve this by lathering your hands long before turning on the faucet, washing your car with a bucket of water rather than a hose, and sweeping your decks and driveway with a broom rather than the hose. Each person and family is responsible for so much waste, you can imagine how helpful it can be to reverse some of the effects you and your family are making. It’s inevitable that you will tell the next person what you’ve done, how much you’ve saved and how great your kids are taking to new, responsible practices and then they will make the first steps toward a greener mindset too! https://knoxvilleplumbing.com/wp-content/uploads/2017/02/Green_tubes_and_valves.jpg 1027 1280 Ivy Brooks https://knoxvilleplumbing.com/wp-content/uploads/2016/03/Website-Logo-KNoxville-Plumbing-2.png Ivy Brooks2017-02-10 00:56:572017-02-10 00:56:57What Is Green Plumbing? The hard truth about commercial building plumbing maintenance is that it’s far more expensive to repair the water damage associated with a plumbing issue after it’s happened, not to mention the money lost due to having otherwise operating sections of your building under maintenance. If you’ve stumbled upon this article about commercial plumbing maintenance, congratulations! You are one step further from the costly repairs of neglecting to take these preventative measures. There is not only residential and commercial plumbers but even further classifications of plumbers for different types of commercial buildings. There is far more to it than you probably are aware and it would benefit you to have a company you trust come out and tell you what kind of commercial building you are operating in and what kind of plumber you need for routine maintenance and emergencies. Hopefully, this appointment builds a bridge for you to foster an on-going relationship! Once you’ve established the kind of building you operate and a relationship with a plumber or plumbers you trust, you should schedule regular maintenance to keep that relationship strong and ensure you’re doing everything you can to avoid any costly plumbing issues and loss of business in the future. Plumbing issues are inevitable due to aging buildings, shifting foundations and inadequate building materials used at different periods of time. Having a regular plumber you trust visit the building and assess your plumbing, will not only catch problems early but improve your future costs by recommending the best new building materials and replacement parts. Before you even call your plumber, you can assess your own building by visiting each bathroom and looking for any of the following signs: water temperatures of faucets being too hot, cold or slow to change, frequent clogged toilets or drains, and dripping faucets or other signs of leaking (check under sinks and look for water damage in ceilings). Having a list will streamline your plumber’s visit, possibly save you money and give you a reference point to compare how your plumbing has improved after your plumber works his magic! Taking care of your plumbing needs before an emergency is of the utmost importance when taking ownership of a commercial building. You’re doing the responsible thing for your business and all those it affects, including employees and customers, by taking these three simple steps to ensure the integrity of your building well into the future! When it comes to Knoxville commercial plumbing services, there are several things that must be part of your experience. First of all, you need to make sure you are dealing with a company that has worked with businesses of all shapes and sizes throughout Knoxville and surrounding areas. Experience is a must. To that end, you’ve come to the right place for commercial plumbing services that have been working with the businesses of Knoxville for quite some time. Our range of commercial and residential plumbing services ensures there is nothing that we can’t handle. At the same time, our commercial plumbing services are very distinctive from our residential plumbing services. This means that when you call on our experts at Knoxville Plumbing, you’re getting professionals who have formidable experience in dealing with all manner of commercial plumbing projects, tasks, and emergencies. Contact us today for any commercial plumbing demands you may have. Burst pipes, frozen pipes, or a broken toilet are just a few of the concerns we address. These are things that can seriously disrupt the flow of your day-to-day business. These are things you want to deal with quickly. Emergencies can strike at any time. Why would you want to waste your time and money on Knoxville plumbers who aren’t willing to keep this fact in mind? Old pipes can fail out of nowhere. Internal sewer lines can suddenly clog up. Something can unexpectedly explode. These things aren’t meant to frighten you. It’s just important to have Knoxville commercial plumbers who are available 24/7. We are. We touched on this before, but it’s the kind of thing that’s worth mentioning twice. Not only should the plumber you hire have experience, but they should be able to back up that experience with photos, testimonials, and similar items. We do. Your plumber doesn’t need to be an expert on the restaurant business, or flower shops, or toy stores, or whatever your business is all about. At the same time, it’s not unreasonable to ask for plumbers who offer experience in assisting businesses just like yours. We will. These are the things to avoid. When you know what to avoid, knowing what you actually need in certified, experienced Knoxville TN commercial plumbers becomes a great deal easier. Contact us now.